This month will be a Valentine themed pajama party. Come in your most festive pajamas! Tunes provided by DJ Rob. Bring delicious sweet valentines treats to share with the group and of course Eddie from the Hubert Grill will provide some snacks. There will be games of the usual sort, so expect to be recruited for the fun stuff! Everyone will have the chance to enter the traditional 50/50 raffle benefitting the Humane Societies’ special fund for heartworm treatment. The 1st Quarter 2016 Tradewind Times edition is now available on line and ready for reading and sharing! In this issue you will meet your new PHIP, Inc. President, Kathy Pfister. You can read about the 2015 Golden Coconut winner, the San Deigo PHC. There is a wrap up of Meeting of the Minds 2015 and some exciting contests for Meeting of the Minds 2016. The PHiP 2016 Scholarship is now open and PHIP Scholarship Chairman David Cohen is asking that the information be sent to all club members to ensure all those eligible have an opportunity to compete for the scholarship dollars. There is a wrap-up of the 2015 PHIP National Alzheimer’s Team and introduction of the 2016 team captain. There is information on the financial reports, Domino College, regional events and club birthdays. Please share this email with your club members! click on Club/Chapter Info then scroll down on the left side to the Tradewind Times. Thank you to everyone who contributed in any way! 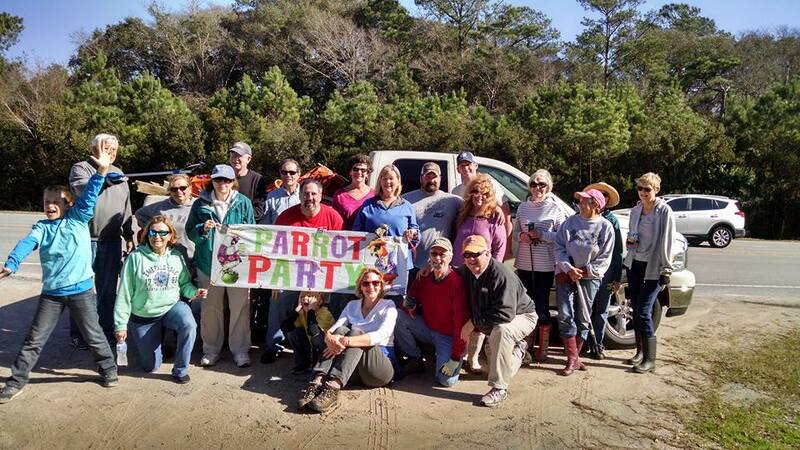 Keep those posts and emails coming about how Parrot Heads “Party with a Purpose”!! Hang on – winter will be over and spring coming! 2016 January 16th Highway Pickup a success! Co-ordinated by Jean Jenson, he reports that 27 parrot heads participated in our regular clean up of highway 58 between the traffic light at Rt. 24 and the bridge. Despite predictions, the sun was shining on the group the whole time which made our good deeds much more enjoyable. 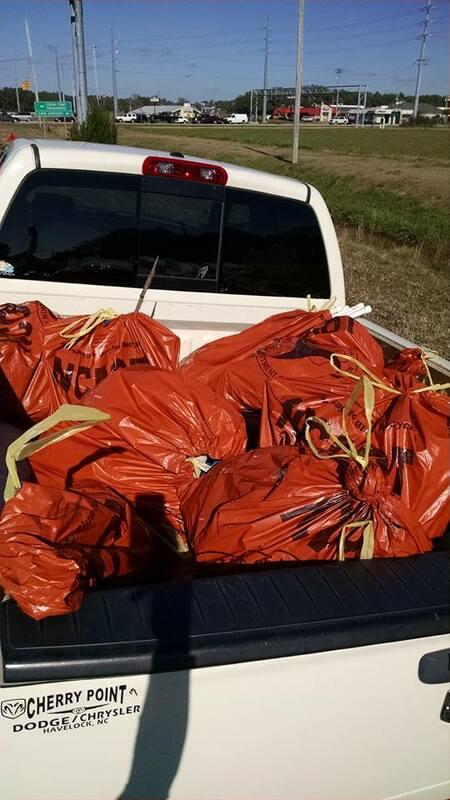 When all was said and done, 27 bags of trash were disposed of leaving the entrance to Emerald Isle once again a better place. It’s that time of year again for the PHiP Scholarship Essay Contest. We are proud to announce that the PHiP Scholarship Essay Contest for 2016 is NOW OPEN!!!!!! The PHiP Scholarship is for current Parrot Head Club Members of an officially Chartered Chapter or their children or wards of Parrot Head Club Members, for post secondary education. This program was established in 2008. Three scholarships will be awarded in 2016. The funds may be used for tuition, books or living expenses, at an accredited four-year university or college of the student’s choice. The award will be paid to the winners’ school account, when a student account is established. It is VERY important the applicant follow ALL of the rules and instructions. Only typed, electronic submissions will be accepted. Incomplete applications will not be considered eligible.Make no references to your identity, your local parrot head club or your location in your essay entry OR your question and statement responses. All applications must be signed at the appropriate place. We accept electronic signatures. DEADLINE FOR APPLICANTS is MARCH 31st, 2016, for enrollment for fall term (summer terms not applicable). Students may apply yearly; the awards will be given annually, based on a new application process.Good Luck to all applicants. Secretary – Parrot Heads in Paradise, Inc.
Merry Christmas and Happy Holidays Parrot Heads!! I have many things to tell you about THE 25th ANNUAL MEETING OF THE MINDS in KEY WEST, FLORIDA in 2016!! Wow!! Congratulations to all who have volunteered and sustained this event from the very beginning! This should be a great year of celebration and reunion!! The title of this year’s event is “Here We Are.” Have a look at the video if you have a moment. 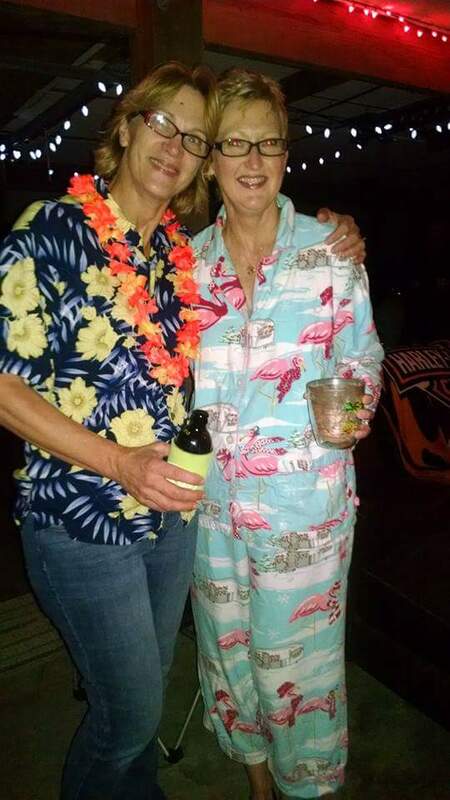 Well 2015 was one of the great Parrot Head parties but that was only the 24th Annual Meeting of the Minds! 2016 WILL be a great year in sunny Key West come November! I know November seems so long away BUT I want to give you several great reasons to go ahead and register early for MOTM. First! Remember we close out our MOTM registration at 3,500 or by September 15th, whichever comes first. I also want you to book a room at the Casa Marina as we need to fill every room at the Casa Marina! I also do not want you to miss out if you want to stay at the Casa Marina! SO we are going to give you some awesome incentives for not putting off registration or your room reservations for 2016! Here we go, read on. Join us for the new year and a recall of the fun we had in 2015. Not sure exactly what the theme will be but we will make sure you have some fun. Also, a big reminder to bring a check (EIPHC) or cash for the 2016 dues of $10 per person. (same price as when the Club started.) Our dues are calendar basis (January to December) and we do not prorate. If you joined late in the year, check with us, we may have put you in for 2016 already! In March we will delete those who have not paid from the membership list and you will need to fill out a new application with appropriate information and the dues payment. If you won’t make the PHlocking, you can mail your check made out to EIPHC to Sue Stone, 9701 Ashley Place, Emerald Isle, NC 28594. 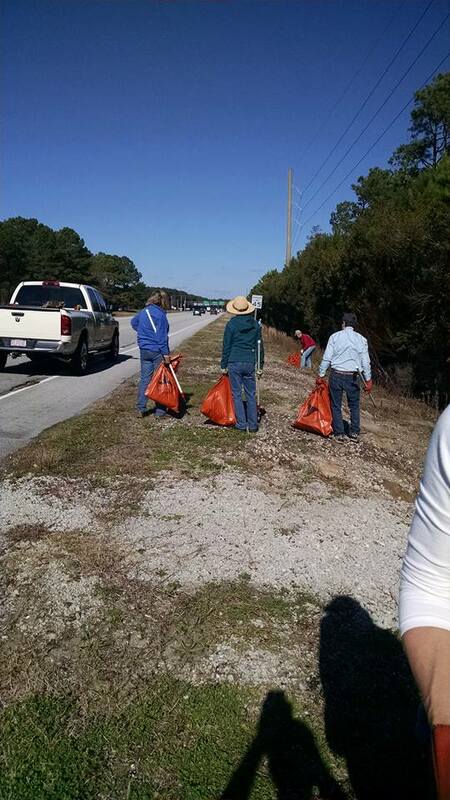 January 16th – Adopt a Highway Litter Pick-up – Meet at 11:00 AM at the Emerald Club. We missed the fall highway pickup due to rain etc. and it is looking pretty littered so what better way to work off some calories and stay warm than an hour with your Parrot Head friends. This time we are doing the litter pick up in coordination with Carteret County Gateway organization (the group trying to pretty up Cape Carteret and get a bike path built). They will be picking up on Rte 58 going up towards Pelletier. So bundle up and help us keep the “gateway” to paradise clean and pretty! We will have a sign up sheet at the PHlocking and at the PHluffing Party or you can email Jean Jensen at belguimboy@aol.com. Join the group for lunch someplace to be determined immediately following the pickup if you want to continue the fun. January 13th (Wednesday) – PHluff up the PHlock Party 6:30 . This is your chance to become an active member. Each January, as tradition now has it, we come together as a PHlock to help plan the upcoming year’s activities. We see who is interested in becoming a Board Member, committee chair/co-chair or someone who can help head up an event. It is a time that you can give the Club some feedback on the good, the bad and the ugly and help make some positive changes in the club. While everyone is welcome, we are really looking for those that would like to take an active role in the club. If you are interested and can attend, please send me an email and as we finalize plans for the gathering, I will let you know exactly where we will be PHlocking. We do some break out work sessions and of course have plenty to eat and drink. Please think about your role in the club. The more active you become, the more people you will get to know and enjoy. One other item worth mentioning here. If you would like to see the club help a particular charity (501 C 3) , have an idea and are willing to head up the event, we are always willing to help find a way to help make it happen. Typically, the person/persons in charge of an event (Big Birds) get to pick the recipient of the funds raised. As an example, Michael Moyer and Mendy Barrows team up for the Coast is Clear Under the Pier Party and they pick the charity (usually animal related).